1. In a bowl, mix lime extract, soy sauce and garlic powder until well combined. 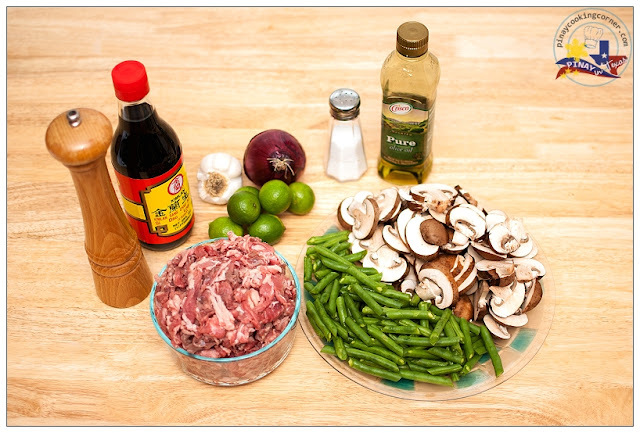 Add shredded beef and marinate for at least 30 minutes. Drain and save the marinade. 2. Over medium heat, saute garlic in olive oil until light brown. Add the chopped onions, and saute until almost translucent. 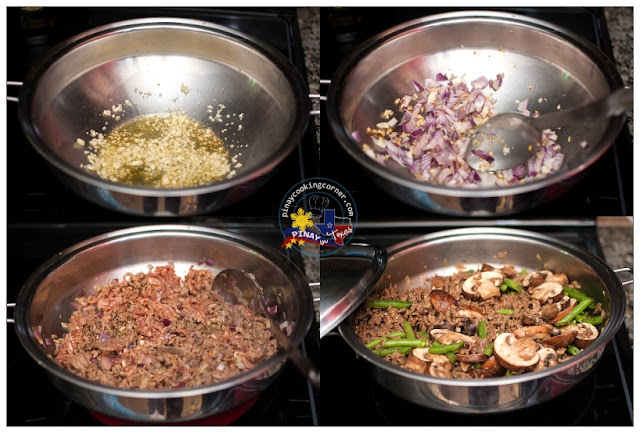 Add shredded beef and saute until juice starts to come out. Add marinade. Cover and simmer for about 30 minutes or until beef is tender. Add green beans and mushrooms. Season with salt and pepper to suit your taste. Simmer for 5 minutes more or until green beans and mushrooms are cooked. 3. Remove from heat. Serve with rice or rolls. minced beef with mushroom very interesting combo. Fantabulous! 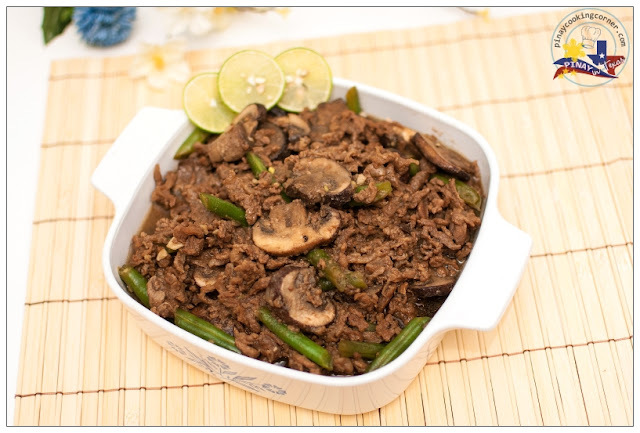 Tina , I bet both of them can't resist your baked goodies as well :D I just can't remember when did I have some bistek :P Your flavorful dish looks really good ! Yum !!! Delicious beef Tina! I love the addition of mushrooms! 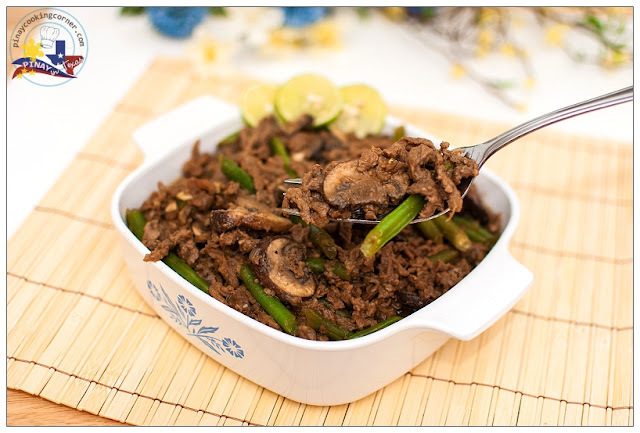 If shredded beef is not readily available ( I havent seen any here in chicago), what alternative do you recommend? You can use chuck, flank or round steaks as substitute. The readily available shredded beef (carne picada) are usually available at Walmart and Mexican groceries.